INnoVation is back to streaming, and enters at #17! Winter's still steady at #1, but he seems to be a little less dominant than he used to be. Hui comes pretty close this month, and in May RotterdaM wasn't too far off either. Will we see his streak at the top spot broken this year? 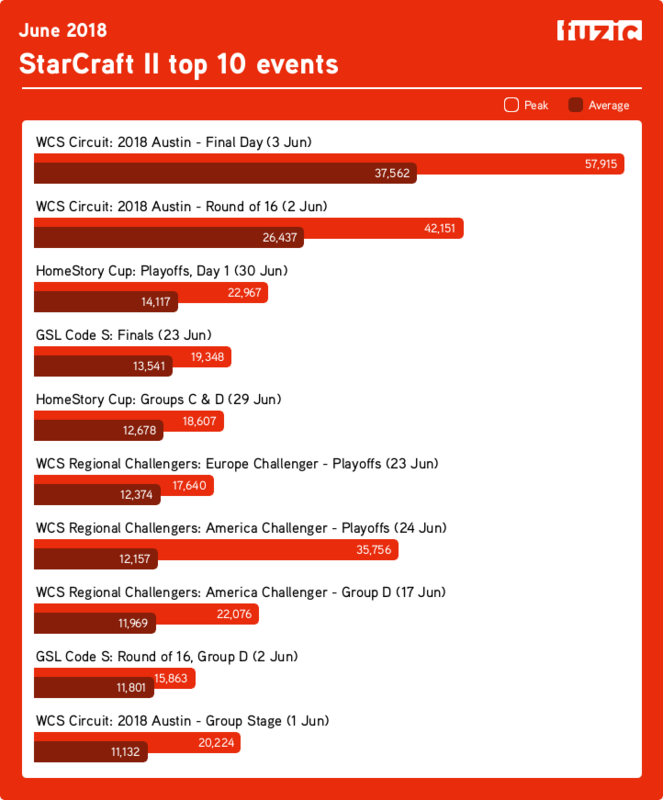 WCS Austin scored big, with 57k people seeing Serral beat MaNa for the title. That's over twice as many as 2017's Austin WCS tournament (though that one was in April). I always like reading this, thanks! 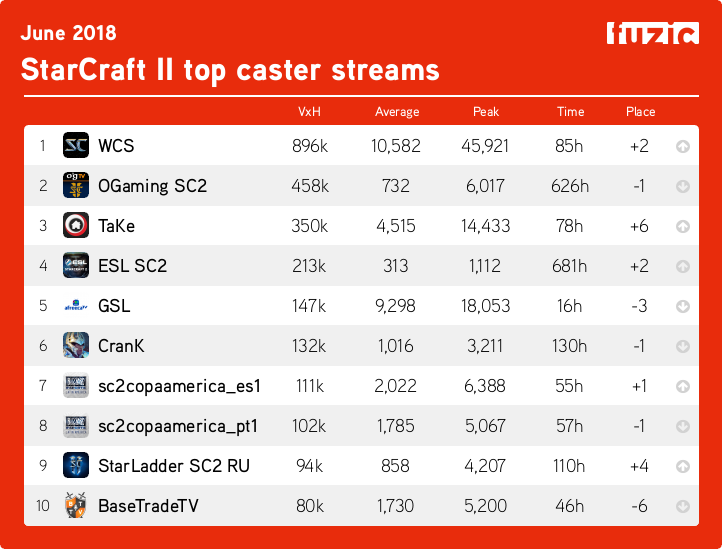 #1 most hours streamed again, also my twitch dashboard recorded 71k views, not what you're recording. What does "views" mean here exactly? Note that this ranking uses 'hours viewed' as a measure, which is a different metric than 'live views'. 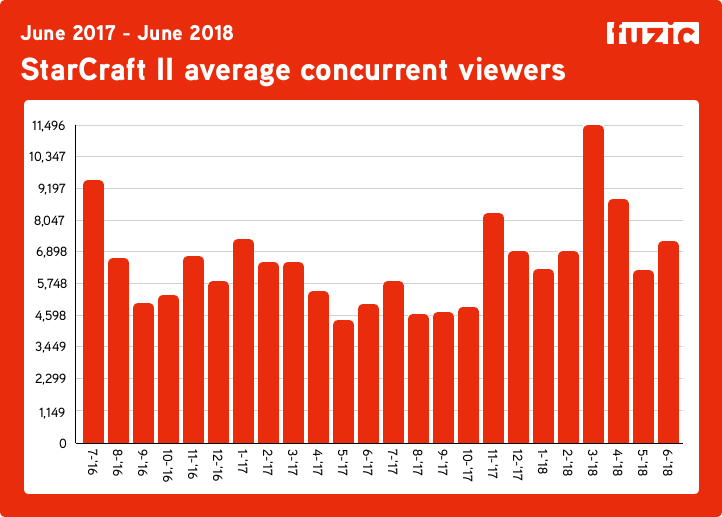 Assuming some people watch the stream for less than an hour, it would be expected that the 'hours viewed' value would be somewhat lower than the 'live views' Twitch reports. 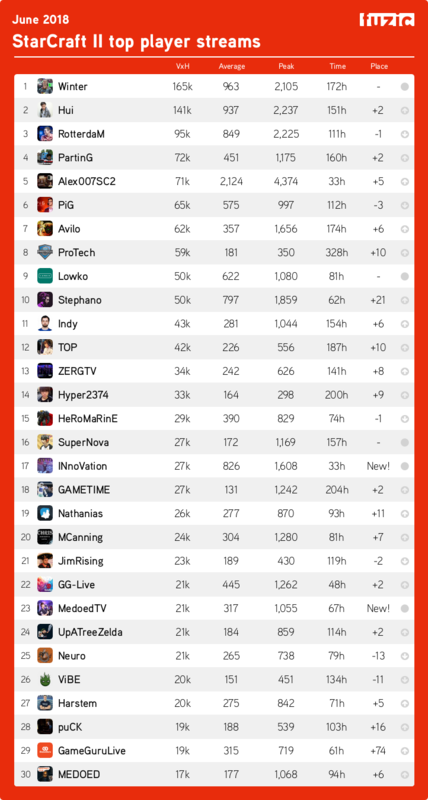 Livibee ended up at #46 in June with 10.7k hours viewed, so outside the ranking in this thread. Nice to see INno stream again, it's nice to see the Korean pros stream some! I´m almost top100. Suomi Finland, torille! i think Alex is a russian guy who has an Alex007 voice pack. He does. Nice music, very good gameplay, nerdy humor and in-depth analysis from time to time. Him dismantling avilo also is very entertaining. You can click the charts to see rankings beyond the top 30 shown here and to look up details for specific players. PartinG has been killing it! Alex007 is an Ukrainian caster and amateur 5.9k Random player. He casts some tournaments in Russian for Starladder, and organizes some tournaments for CIS region like Starladder Amateur series(the biggest tournament in the history of LotV ever, more than 1k sigh-uped players), Starladder Ultimate series, Super Team League, Preimier League and more.